Our Sunset Ranchos offer sweeping vistas of the Pacific Ocean. 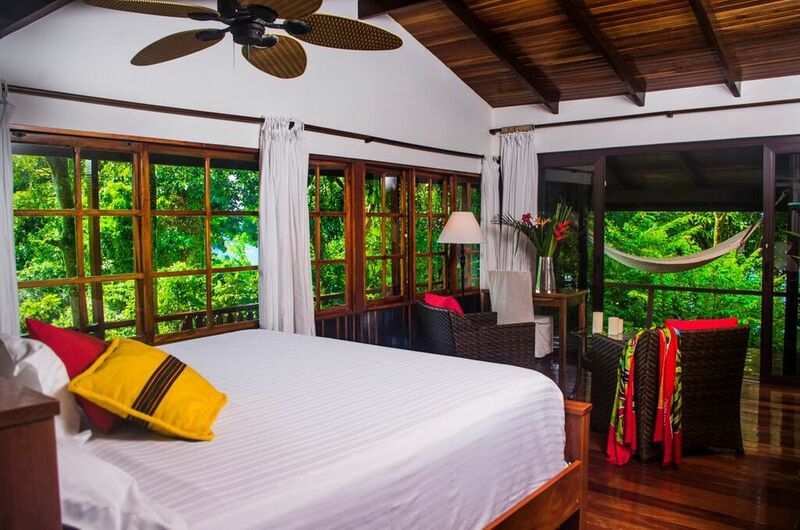 You can fall asleep to the sound of the ocean, awaken to the symphony of the rainforest and catch a glimpse of a magnificent sunset over Caño Island from the comfort of your balcony. The Sunset Ranchos are equipped with A/C and furnished with king, queen and single beds and have bathrooms on both the upper and lower levels. An extra single bed can be added if needed. Sleeps 5-6 ppl. 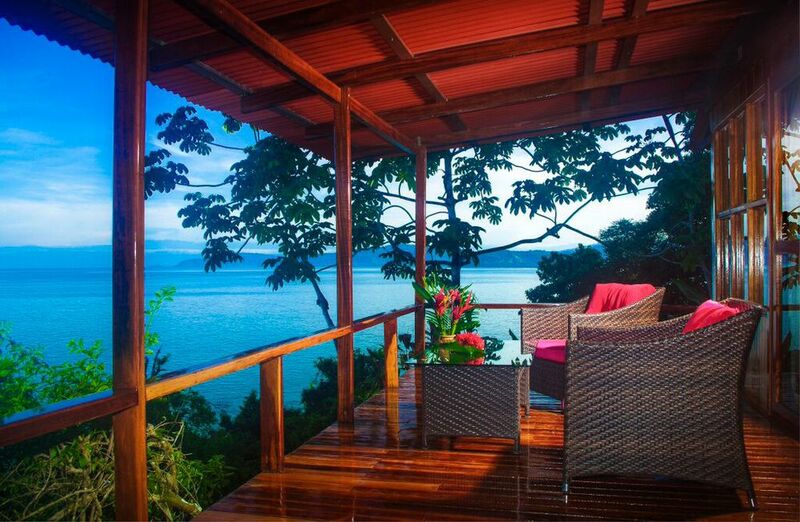 Our Deluxe Ranchos are spread around lush vegetation maximizing privacy and seclusion yet offering magnificent ocean views. Listen to the sounds of the jungle from your hammock, watch toucans fly past and let the cool ocean breeze lull you to sleep. The Deluxe Ranchos are equipped with A/C and furnished with king, queen, and single beds and have bathrooms on both upper and lower levels. An extra single bed can be added if needed. Sleeps 5-6 ppl. The one story Deluxe Ranchos are equipped with A/C and furnished with one king and one single bed. Sleeps 3 ppl. Our Superior Rooms offer private balconies with beautiful views of the Pacific Ocean. Set amongst the jungle you can watch for monkeys playing in the nearby trees, while relaxing in your hammock. These beautiful rooms are equipped with A/C and furnished with one king bed. An extra single bed can be added. Sleeps 2-3 ppl. 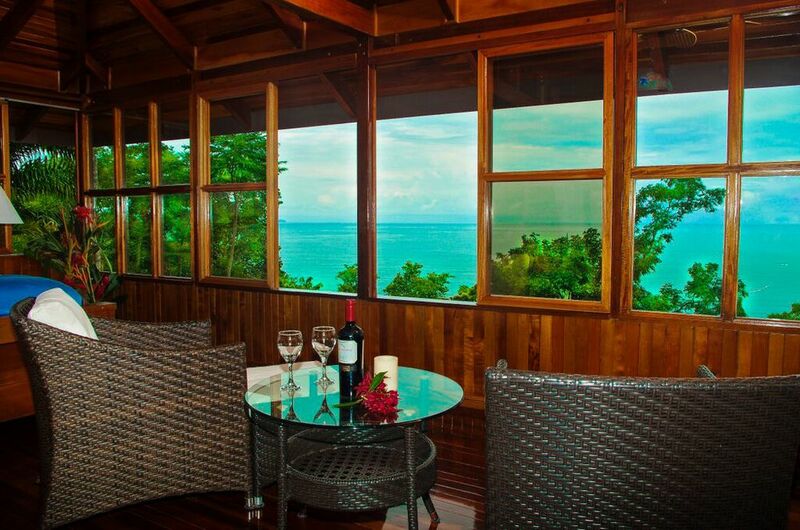 Wifi is available in the main dining room, however, it can be limited due to the remoteness of the lodge. We recommend disconnecting and experiencing a totally unplugged vacation. Leave your work & worries behind and enjoy the back-to-nature living offered at La Paloma Lodge.